Complement any counter with the stunning Carina-C Counter Stool. This stool is contemporary and luxurious, and will have any space looking its best. The Carina-C Counter Stool also offers a comfortable seat that is sure to impress. 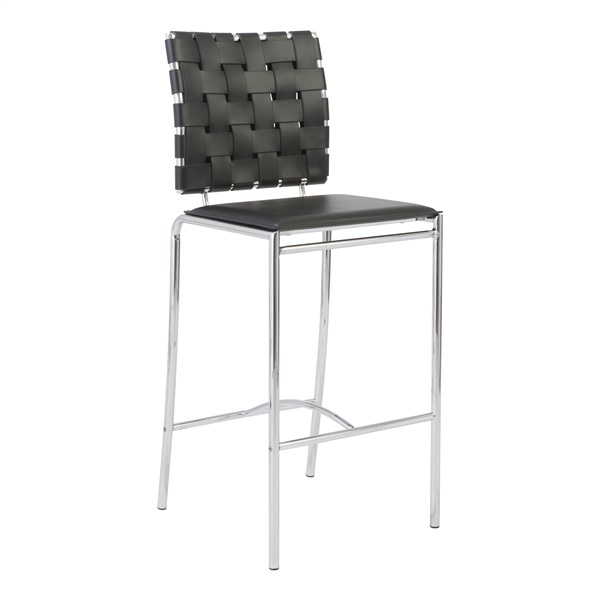 This modern leather stool features a woven leather back and leather seat complemented by a sleek, chromed steel frame. Where is this black stool made? Also is it OK for a man of about 230 lbs? Is it sold locally in Philadelphia anywhere? I would like to sit in it before I purchase it. Thanks for your help. The Carina-C Counter Stool is made overseas in China. It is rated for residential use for up to 250 lbs. At this time we do not have a location in Philadelphia where you can physically see this item. Let us know if you have any other questions.